Optical coherence tomography, also called OCT, is a method for imaging the various layers of the retina, the optic nerve head, and the anterior segment of the eye. Similar to ultrasound, individual layers of tissue are scanned without touching the eye and displayed as a cross-section. A completely safe light source is used. 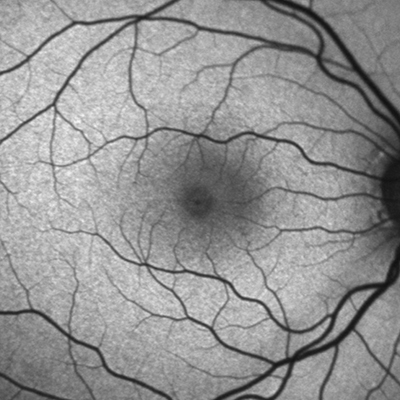 A typical example of an OCT image of the retina is shown below. The examination lasts a few seconds, does not require the administration of drugs, and is totally painless. OCT supports the eyecare professional in diagnosing a disease and monitoring change over time. 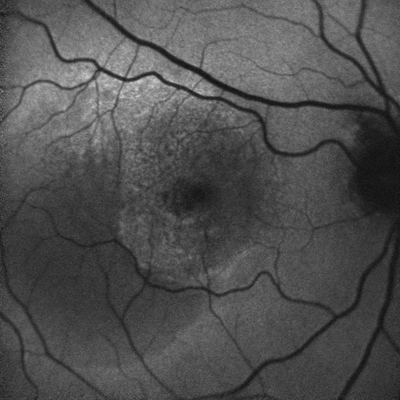 The OCT is particularly useful for issues concerning fluid retention and swelling in the retina, which can occur, for example, with age-related macular degeneration (AMD) or diabetes. But very early signs of a pathological change can also be detected. In angiography, the blood vessels in the retina are highlighted using a dye (e.g., fluorescein or indocyanine green) so that pathological changes, such as leakage of fluid from the vessels, can be better recognised. Angiography is an invasive procedure, meaning that before the start of the procedure, a dye is injected into a vein of the arm. This dye quickly spreads to all blood vessels in the body, including those in the retina. During the examination, this dye is illuminated with light at a certain wavelength, causing it to show up brightly in the retinal images. 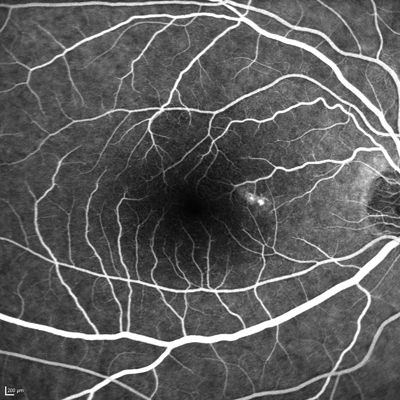 Using this imaging procedure, vascular diseases and blockages in the retina and the choroid are especially visible. Blue laser fundus autofluorescence (FAF) is an imaging procedure for checking the health of the retina. 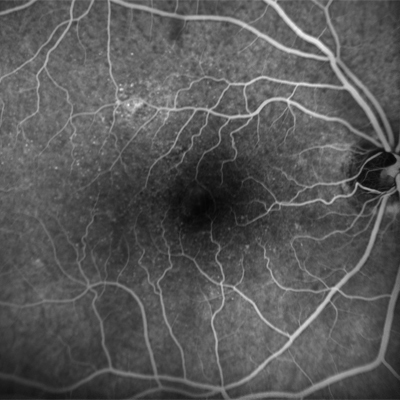 The difference from fluorescein angiography is that no dye is injected with blue laser fundus autofluorescence. A naturally occurring substance in the eye – lipofuscin, a waste product that builds up in the eye over time – is illuminated with blue light. If the healthy process which reduces accumulation of this waste is impaired, changes occur in the distribution of the lipofuscin. 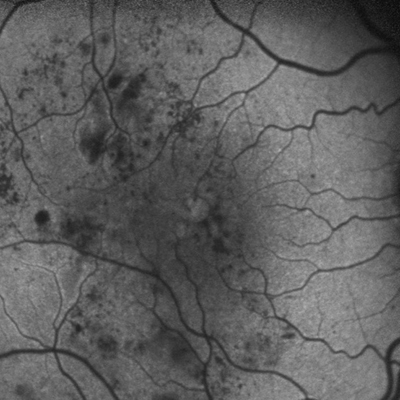 This distribution can be viewed with autofluorescence. This examination method can provide your eyecare professional with valuable information for many retinal diseases, such as AMD.